Vision boards help so many of us find the inspiration and motivation that we need to focus on and accomplish our goals. As I have mentioned in other posts, I opted to skip the lengthy list of New Year's Resolutions this year and focus instead on just one word: Action. 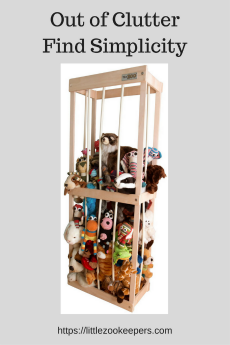 I have found that creating a vision board is very inspiring--but, it shows me only end results--it doesn't help me reach those visual images. 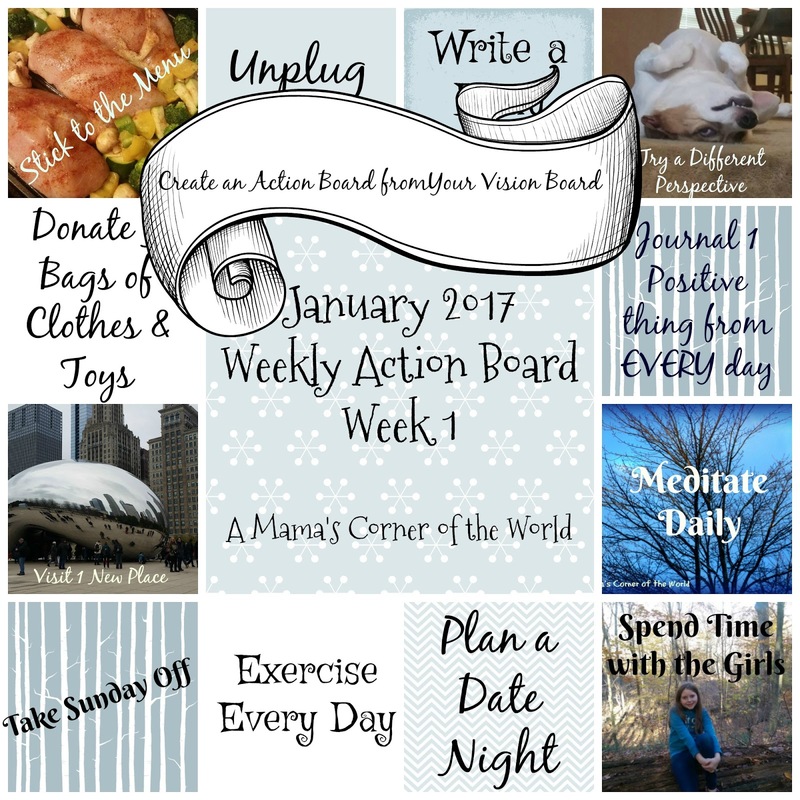 I put my word of the year to action, literally, and created a weekly action board to allow me to set a week's worth of small, do-able, positive changes in motion to achieve the larger goals of my vision board. 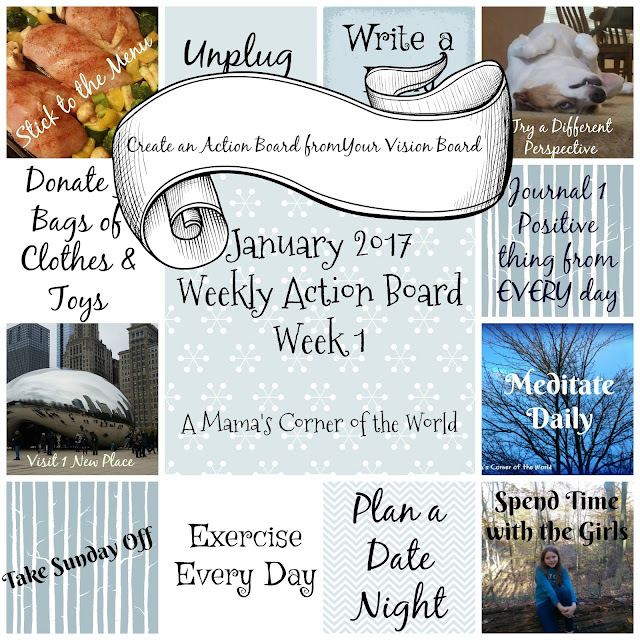 What are a few tips for creating an action board from your vision board? Create your Vision Board of Goals. In order to achieve your goals for the month--or the year or for your life in general, you must identify them. I think a vision board is a great way to visually identify your goals. Seeing your goals in one group does motivate and excite you to achieve them! Your own goals may be very similar to my goals--or very different. So many seek to live healthier, happier lives, spend more time with family, create a stronger relationship, lose weight, earn more money, create stronger businesses. Whatever your large goals are--write them down, create pictures for them and turn them into a visual, motivating collage. Step Back and Look at the Vision Board. How do you reach those goals? This is, in my opinion, where vision boards crash, resolutions fail, and the blahs set in! Deep down, I want to achieve those visual goals on my vision board. I do. But--the distance between where I am now and that final, beautiful goal on my vision board may seem just too great. 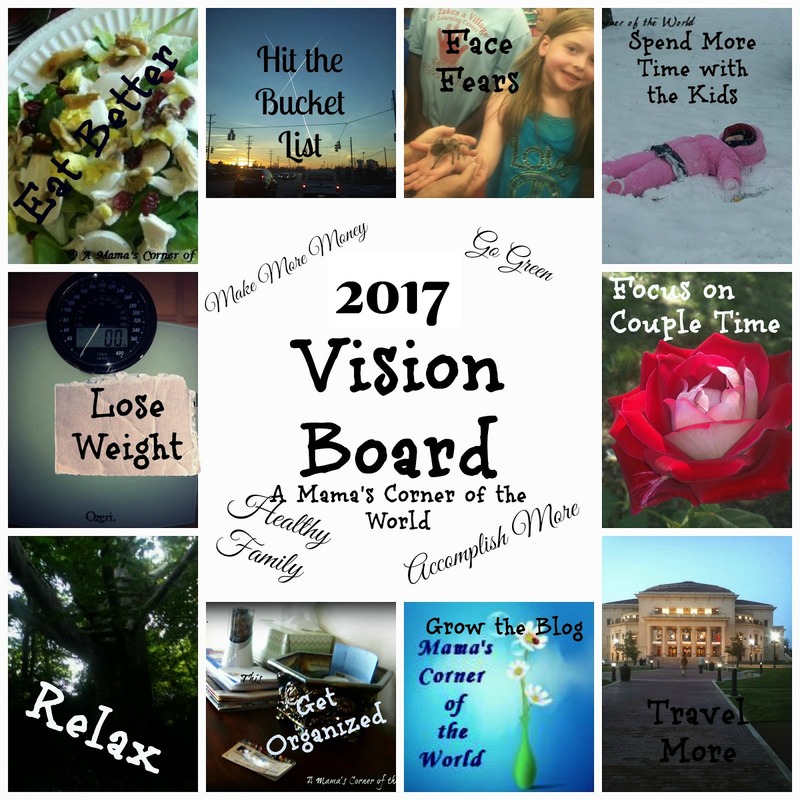 What Actions can You Take to Work Toward your Vision Board Goals? Weekly action boards work best for me--but, you may be better suited to a monthly action list or board instead. Working on a weekly list of activities helps me stay focused on short term goals, one at a time, as I make small steps toward the "big picture". "What can I do this week to help me reach that goal--or a group of my goals?" I know that I want to lose weight, eat better, have a healthier family, and relax this year. During the first week of January, I will work on sticking to a healthy menu for the whole family, planning a date night (or a date lunch) with my husband, unplugging the whole family after homework, meditating, and exercising every day. Small actions toward several larger, related goals. Keep an Eye on your Action Board. If your action board is out of sight--it will be out of mind. You will go through your day as usual--and realize at the end of the day that you didn't accomplish any of the actions necessary to reach your vision board goals. Keep the action board accessible--and visible. I have a printed board on my office wall--and a PicMonkey collage on my computer desktop. Donate 3 Bags of Clothes and Toys.. If I see my action list frequently throughout the day, I am more likely to accomplish my actions. Update the Action Board on Schedule. 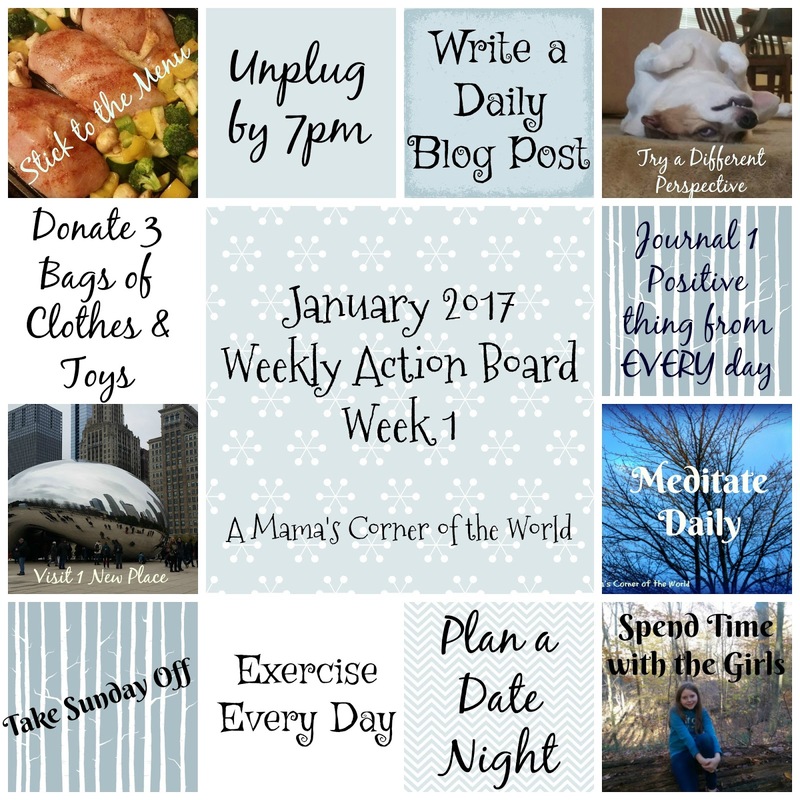 If you plan to accomplish weekly actions toward your goals--don't let the action board set unchanged for a month! Reevaluate the actions. What worked? What was unreasonable? Perhaps one of your actions was too generic to be effective. Suppose my action, "Daily Exercise", wasn't successful. I should change it to something more specific like, "Do a Morning Workout Every Day" or "Take an Afternoon Walk with the Dog", and try it again next week! It is possible to create a successful action board to accomplish your vision board goals--you just need to take it one, active step at a time! Thank you Angela. This was a very helpful post. I work with junior high schools kids who are from impoverished backgrounds. This is an activity I have been meaning to start with them. Your pointers are going to come in extremely handy. I used a basic collage in the PicMonkey program. 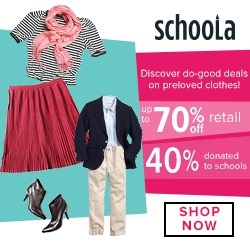 Canva has great collage options in their free membership too. If I didn't have time to create a collage-- I simply put post it notes and photos onto a cork board for a given week to help me focus on "smaller" goals. How did your action board play out for you this year? There were weeks when the goals didn't happen as planned--but, breaking everything down into smaller pieces did keep things moving in more positive directions throughout the year! I will be posting a new action board post with some updated ideas later this week. Wow... I get it! Vision boards have eluded me, but thanks to your photo, I will have a vision board every remaining month of 2018 to aid my transition back to fiction writing. 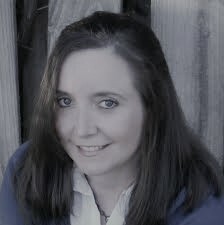 I will link to this article from my new blog on writing, Driven to Tell Stories.